Today I am dedicating this blog to the memory of my mum, whom passed away this weekend some 17 years ago now. Although she passed on the 6th, she did in fact pass on the Saturday morning at 10.45am, so today is a special day of remembrance in my heart. You only ever have one mother, the person that brings you into this world, and like all families we had our ups and downs. But nonetheless this never diminishes the fact that she is my mum. In her 24 year battle against cancer (she was originally given just 6 months to live in 1972), but fought and fought, did trials of new medicines, procedures and lived until 1996. During her good times she use to foster the less fortunate in this world, kids that had been physically, mentally or sexually abused, from babies to teens. Our house was never short of having our family of 5 kids, mum and dad and sometimes up to three foster kids on occasions. Happy times to say the least!! It is due this in my life that I am now doing what I do as her desire to do good for others has always been part of my life. I am by desire working in the care industry servicing special needs, currently mental health, but have serviced the needs of autism, dementia, residential care and more. So mum you live on in me doing your work, and in my goals and dreams of this website, it outlines my desires to help others and my ultimate dream. As a child we count 100 years as along time, but as an adult we count what time we may have left. 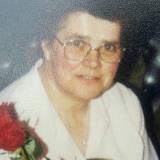 Mum you left us early and I am getting older by the minute, 17 years have passed but we will meet again sometime soon. You have only one mum and dad, cherish them and tell them how much they are loved as it is too late in person when they have passed. Our family life changed forever when our dear mum passed from this world. Free of pain in her 24 year fight against cancer, but left a massive void in all our hearts. To say that time is a healer is untrue, the void in our hearts is as large today as it was back then. So sorry for your loss Gary. 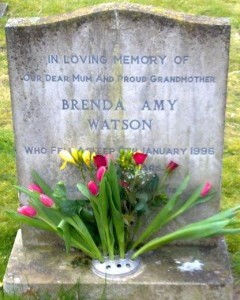 In the UK we’re just heading up to Mothering Sunday, so I shall treasure my own Mum especially.